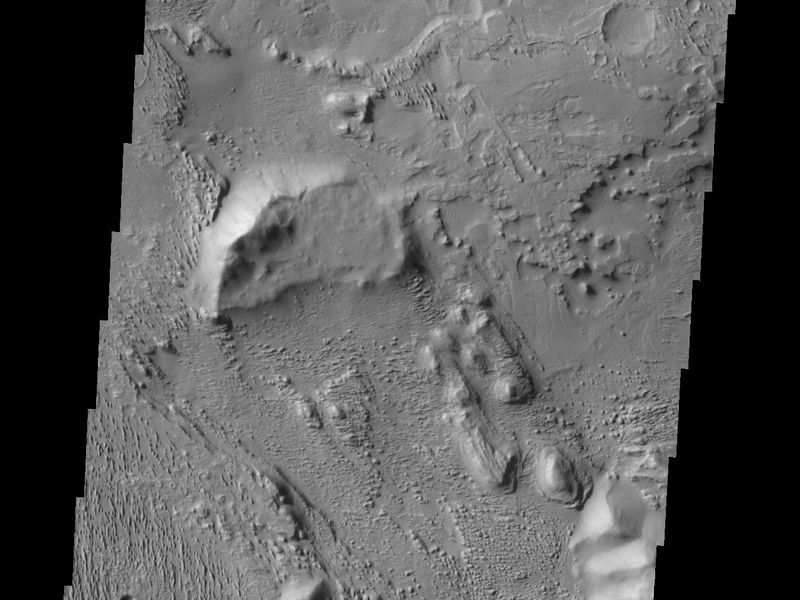 This complexly eroded region is part of Aeolis Planum. 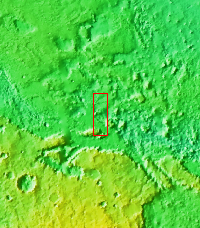 The image has portions that appear to be layered material that has been eroded by wind action. 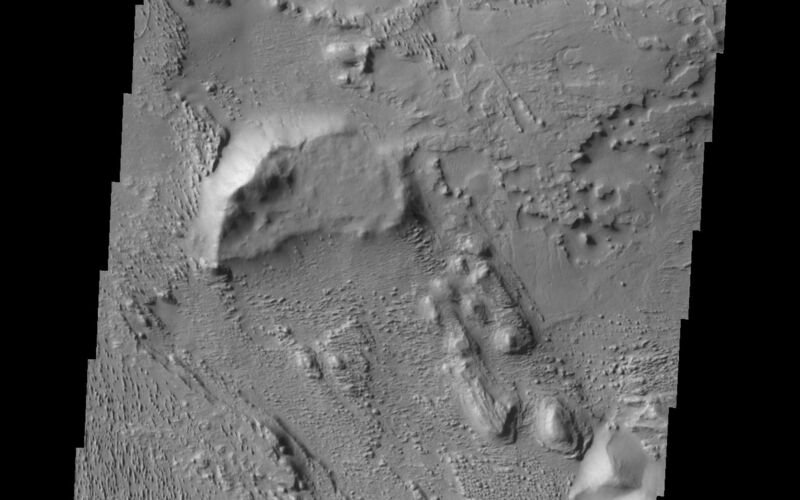 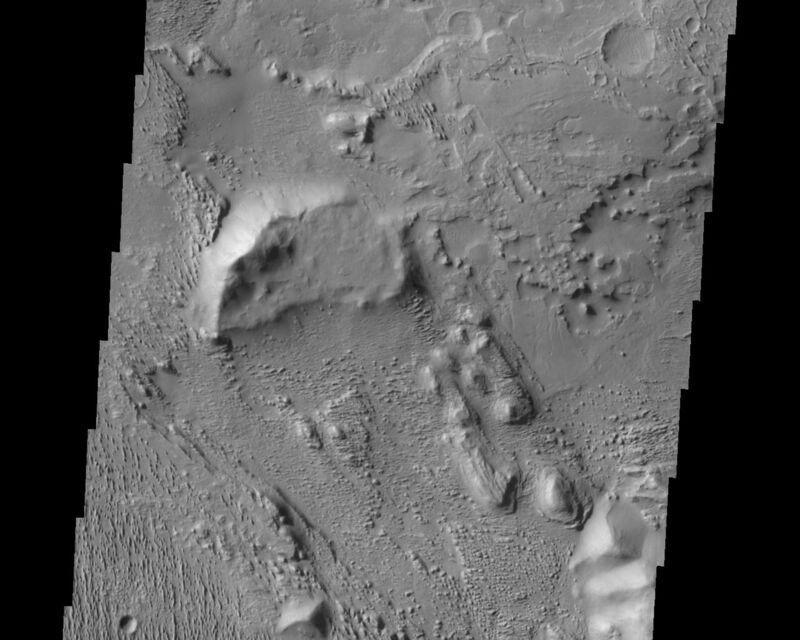 The top of the image has a branching feature that may represent a filled channel that is now a topographic high (the channel fill material being more resistant to erosion than the surrounding materials).